The place not to be missed, when discovering Burgundy. The place not to be missed, when discovering the region of Burgundy. Hôtel le Magiot, 6 Rue du Magiot, 21400 Montliot-et-Courcelles. Situated at 2 hours from Paris and 3 hours from Lyon, Le Magiot is pleased to welcome you to the heart of the Châtillonnais country, where the Seine meanders through the largest forest area of the Côte d'Or. 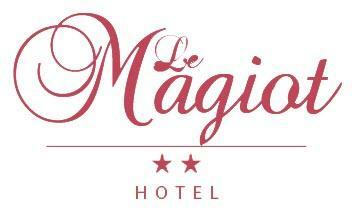 Member of national network of independent hoteliers Contact Hotel, Le Magiot is open all year round and offers 22 comfortable rooms and quality services to make your stay more enjoyable. Discover a variety of possibilities that will transform your visit into an unforgettable moment in Burgundy. Besides the visit of wine cellars near the hotel on the famous Route du Crémant and the discovery of culinary delights that have made the region famous, a variety of other activities is also available in Burgundy : horse riding, golf, water sports, fishing, cruises, flying, hiking, swimming... Many of the excursions are not to be missed, such as the museum Pays Châtillonnais trésor de Vix, several abbeys and Alésia… The hotel is also only 10min away from the region Champagne and its famous cellars. We welcome you from 5pm - 10pm to hand over the room keys. The reception is open from 6:30am - 12am and 5pm - 10pm during the week and on weekends from 8am - 12am and 5pm – 10pm. You can reach us over the phone every day from 8am – 10pm.